An introduction to Texas blues, as well as a discussion on equipment. So you can get that distinctive Texas sound in your playing. 3 essential scales you need to know: the minor pentatonic, the major pentatonic, and the blues scale. And find out how these scales relate to chords. Discover scale patterns and “boxes” across the fretboard. So you can target the right notes and always play in the right key. 8 awesome practice techniques for mastering scales, as well as vibrato, string skipping, and other techniques. So you can develop muscle memory and solo without hesitation. An easy “1 finger, 1 fret” warm up exercise. So you can play your best in any situation and avoid straining your fingers. Pro advice on practicing, and how to make time to practice every day. So you can make steady progress as a guitarist every day. 1 simple formula for the major pentatonic scale. So you can add this scale to your arsenal and play it with confidence. Find out how to move around the fretboard with “diagonals.” So you can create movement and solo with freedom. Discover the magic of the “flatted 5” note. And find out how to add it to the minor pentatonic scale, so you can get that “bluesy” feel in your playing. 16 awesome Texas licks in the key of A minor. 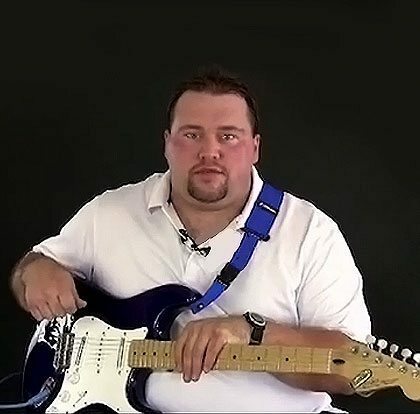 And pro advice on how to connect licks with scales when you solo. Find out how to play string bends and vibrato the right way. And how to compensate if you bend a little too sharp. Which means, you’ll sound awesome, even when you make a mistake. Pro advice on combining licks, as well as tips on how to train your fingers. So you can build your playing speed with ease. Find out how to play licks in the style of Stevie Ray Vaughan and Kenny Wayne Shepherd. So you can add their signature styles to your own playing. Discover the secret of transposing licks from minor to major. So you can solo with confidence in any playing situation. How to create different combinations from one lick. Which means, you can create new licks from every lick you learn to play. How to play hot licks that move between scale “boxes.” So you can create movement across the fretboard and keep things interesting. How to use parts of the same lick in different parts of the song. So you can keep a theme going throughout a song. Discover how to play awesome “double stop” bends. Which means, you’ll bend 2 strings at the same time. How to play bends higher up on the fretboard. And find out how you can change your finger position to make things more comfortable. 20 popular chords that are used in Texas blues. So you can create authentic blues progressions to solo over. How to play essential minor blues chords in the style of Stevie Ray Vaughan. So you can add a different feel and sound to your blues progressions. Discover crucial rhythm patterns like the alternate shuffle and the Texas Hop. So you can play with the distinctive “Texas” rhythm and feel. Ideas for getting creative with chords and rhythm. So you can get inspired and carve out your own unique style. Tips on “jam etiquette.” Which means, learning how to play well with other musicians, and give other people the chance to play cool licks and solos. Final thoughts on 5 essential techniques: string bends, vibrato, hammer-ons, pull-offs, and slides. So you can develop your own creativity and style on your own. How to “play with your soul.” Which means, what you feel in your body and mind comes out through your guitar strings. As a native of Tennessee, Eric Beaty has been playing the guitar for the past 15 years. Self-taught, he began his guitar playing knowing only a few chords and a guitar. As the years have passed, his passion for guitar playing only grew with time. So, did his guitar playing skills. 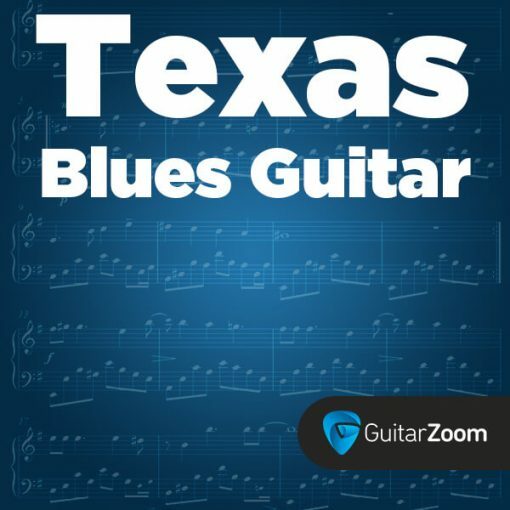 With Guitarzoom Eric has recorded a very successful Texas Blues Guitar course which provides tips, tricks and techniques to help you learn to play the guitar like all of those legendary guitarists, such as Stevie Ray Vaughan, B.B. King and Eric Clapton. Eric’s personal favorite style of playing is the Bluegrass genre of guitar. 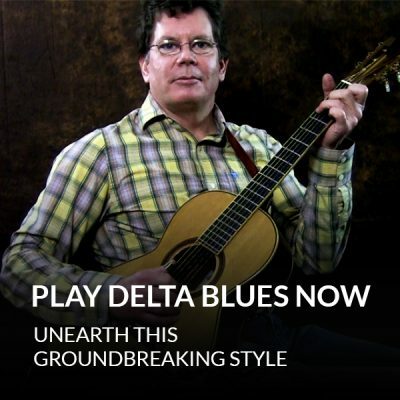 Steve Dahlberg is going to break down classic techniques, so you can play authentic Delta Blues. 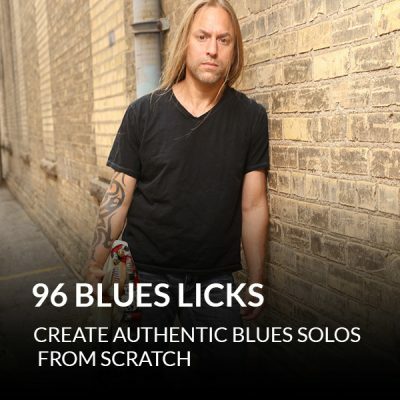 Smokin' hot licks in a variety of styles that you can use to create your own authentic blues solos.